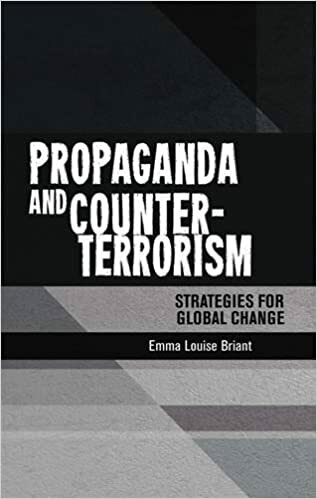 Propaganda and Counter-terrorism: Strategies for Global Change – Outstanding! 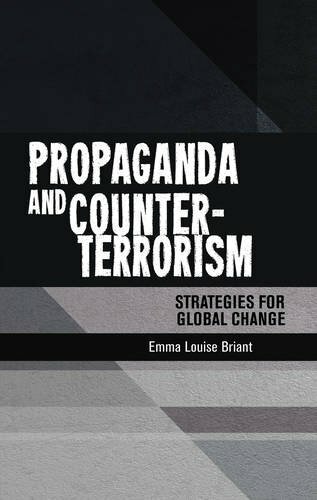 I owe you, gentle readers, a full-blown book review on “Propaganda and Counter-terrorism: Strategies for Global Change” by Dr. Emma Briant. The book is so good it deserves a very detailed review, and that still wouldn’t do it justice. It honestly is that good. Simply put, this is the single best book I have ever encountered about propaganda and information operations, bar none. Dr. Briant shared with me that it took ten years to write the book, and it shows. Her attention to detail is mind-boggling at times. If I had a question about almost anything about information operations or propaganda, she answers it. I worked in the field for almost 20 years and she does an excellent job explaining things that I hadn’t fully understood. She gives honest, sometimes almost painful descriptions of how and why Information Operations work in both the US and the UK. I lost sleep reading this book, it truly is that fascinating. Dr. Briant’s perspective is not only fresh, it is very well informed. I read late into the night for weeks, I almost wore out a few of the pages rereading and cross-referencing things. The only complaint I have about the book is a combination of two things: her inclusion of what constitutes propaganda is broader than mine, and, second, her assertion that the United States does propaganda, late in the book. My discomposure was so intense at one point that I took a few days off to sort through my feelings and thoughts. The US does not “do” propaganda, I have verified that on multiple occasions. Perhaps there is a perception that the US does propaganda, but there is no official propaganda program. In some parts of the government, it is even illegal. The book was published on December 4, 2014, and I read an advance copy. My consternation regarding the two semi-trivial facts, above, are what prevented me from writing a review previously. I think the book is simply fascinating, tremendously helpful for anyone wanting to know about Information Operations in both the US and the UK, and provides unsurpassed insider information on how the military and some parts of the government work. For me, reading through the book was like attending a party of old friends. If you’ve worked in IO, PD, or in SC, you should know the names, what they do, and what they are doing now. Amazingly, a few of the things that were off the books or were treated with a wink, wink, or a nudge, are covered. A shortfall of the book might be that it does not adequately stress the lack of a strategic information/communications process or strategy at the national level. There is one quote by me in the book where I refer to Ben Rhodes as a… well, you’ll just have to read the book to find out, then crucify me. Bottom line, this book is top-notch. Or in Dr. Briant’s own words, “brill”. Translating that to English I am saying her book is brilliant. Yes, I’m poking her in jest. She is also a very nice person. ps. This is no reflection on Dr. Briant, but there is no mention of Information Warfare, no contrast, and no comparison with IO at any level. Her book did not set out to do that and shouldn’t. That is a completely separate topic. I do not want to diminish this excellent text in any way, shape or form, but if you want to learn about IW, don’t expect it here.